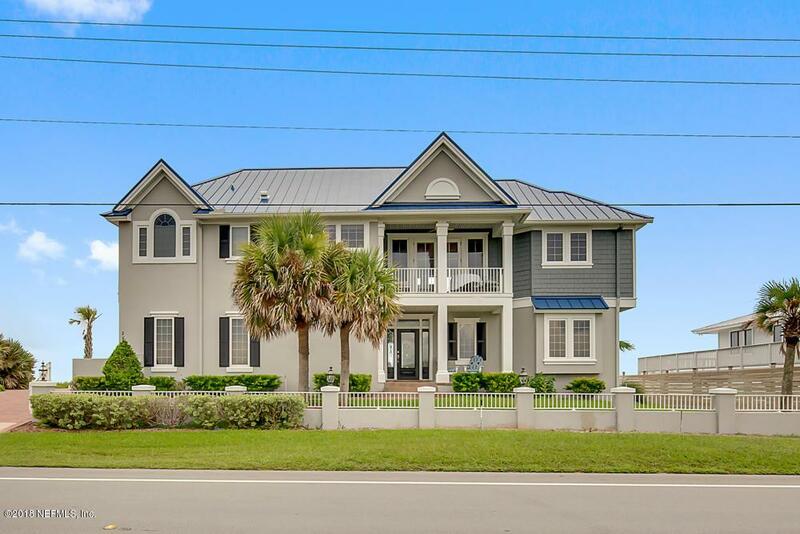 This fully furnished stunning oceanfront vacation home is the epitome of luxury living. 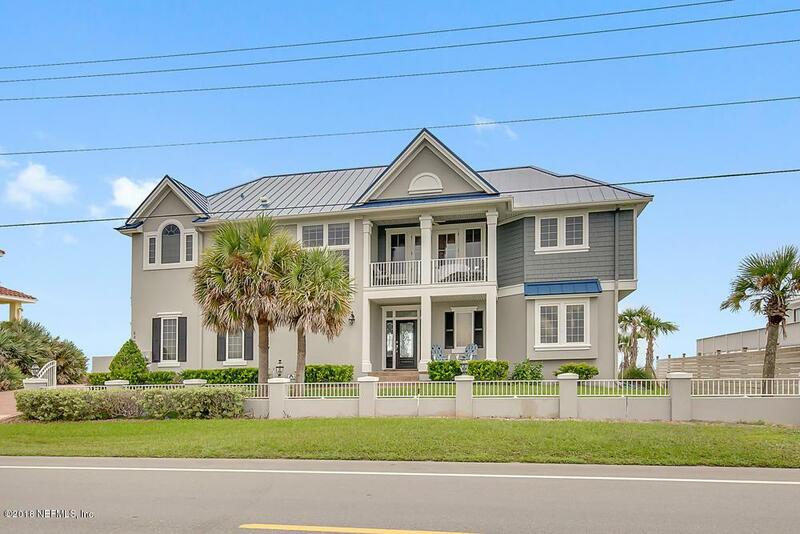 Located close to Ponte Vedra Beach & 11 miles from Historic St. Augustine. This home is equipped will all things needed to make your stay conformable and memorable. This is a home you will want to return to and call your ''home away from home'' for the winter. The views and location are top notch! Panoramic ocean views from nearly every room! Unbelievable sunsets over the Mantanzas Reserve can be seen from the front balcony and front porch. available December 1 -April 30 monthly/weekly/nightly/TPC rates vary call for details.Master has king bed & walk in closet, attached master bath has whirlpool tub, walk in shower, & water closet with bidet. Queen beds in the guest bedrooms & each has their own full bath. Sleeper sofa in downstairs TV room. Vaulted cypress ceilings in family room, elevator, stone gas fireplace, hardwood floors, Well appointed kitchen opens to dining & family room This unique home is truly a must see! granite countertops, gas range and stainless steel appliances, tankless gas water heater. Must see the photos. 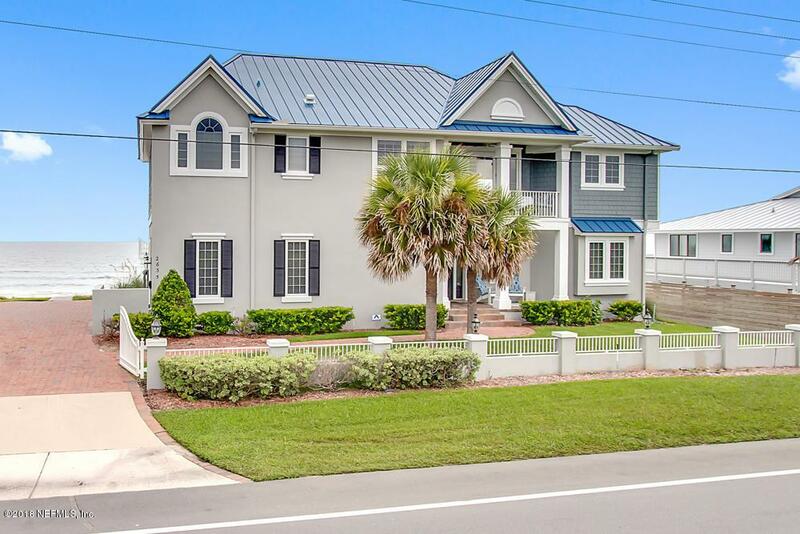 Paver driveway, Trex decking, 11 foot swim spa, spiral staircase to upper deck for even more expansive ocean views. 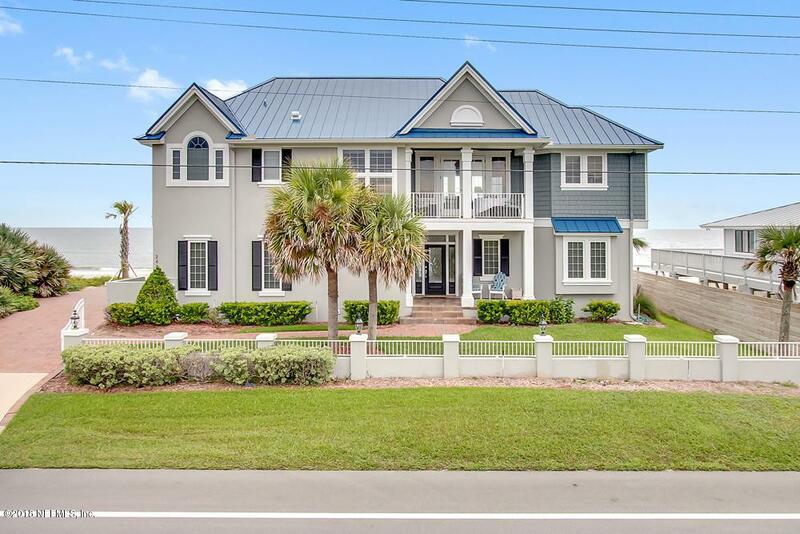 This beachfront home has a yard, 2 car garage outside shower and more! Call for more details.